The signing of Spence feels significant because she is part of a greater collection of worthy, but often under-supported songwriters scrapping for attention in the underbelly of Music City, artists like Michaela Anne, Kristina Murray, Erin Rae, Molly Parden, and many others. 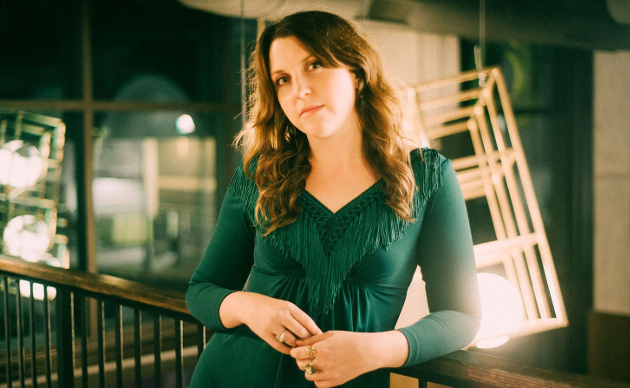 Caroline Spence has collaborated in the past with the likes of Anderson East and Andrew Combs, and she released a collaborative album with Robby Hecht in 2018. Spence can also count Miranda Lambert as a fan, but up until now she’s had to fight and scratch for opportunities in her career. The upcoming album was produced by Dan Knobler, who is known for working with Lake Street Dive, and recorded at Knobler’s Goosehead Palace studio in Nashville. Caroline Spence received another ringing endorsement during the making of the album, when Country Music Hall of Famer Emmylou Harris chose to lend her voice to the title track. Inspired by her grandmother who passed away recently, “Mint Condition” is a perfect showcase for the sweetness contained in Caroline Spence’s voice, while the emotion is sent to the rafters when Emmylou joins in on harmonies (listen below). From a musical family, including her aunt who worked at Asylum/Elektra when Emmylou Harris cut her iconic Wrecking Ball album, Caroline Spence started writing songs at the age of six, and began playing shows in Charlottesville at 15. She released her debut album Somehow in 2015, and a follow up Spades and Roses in 2017. Keep an eye out for Mint Condition when it becomes available from Rounder Records in May. Saw her open for John Moreland in Fort Worth a while back. Had never heard of her before and was pleasantly surprised how much I enjoyed her set. Good for her. Congrats to this young lady . I think there is , indeed , something going on here with Caroline Spence . I’m impressed, I think , by her handle on to-the-point lyric-writing . I say ” I think ” because i just feel like I’m working way too hard to HEAR those lyrics . I’ve listened to 3 or 4 tracks ( You Tube ) and they have all challenged me in that respect . I love the sound of her voice , her ability to engage me with just that sound and a more-than-serviceable melody . But I just hate having to work at hearing /deciphering a lyric . That shouldn’t be the responsibility of the listener and a GOOD producer would realize and respect that fact . With very little coaching , and perhaps more focused recording of her vocal tracks , this could be very easily addressed . Or maybe its just me ?…..
Yeah, I know what you mean, but it doesn’t bother as much as Amanda Shires’ last album. I don’t have to really struggle to understand Caroline Spence. This is top shelf writing, in my opinion. Rounder is a great label. She is one of those artists I would have never of heard of if it wasn’t for this site. I sought out her material and was knocked off my feet. Congratulations to her, and I am looking forward to the album. I’m REALLY looking forward to this one. Her collaborative album with Robby Hecht is incredible and well worth checking out if you haven’t heard it. Re Albert……… can not make out the lyrics, for some reason artists don’t give you the lyrics when you buy a download of their album. You have to go searching the internet, hoping somebody has posted them somewhere. When you consider how much effort goes into writing a song, and making an album, this makes no sense. Are they lacking confidence in the quality of the lyrics? On the other hand…..Courtney Marie Andrews….. lyrics are very clearly sung and recorded. my ‘argument’ , mark , is that the onus shouldn’t be on ME as a listener to do the work of finding or guessing at the lyric . and yes ….courtney is the perfect example of how to best showcase your lyric . I’m not suggesting an artist’s vocal style shouldn’t come into play . only that , as you point out , when a writer works hard at crafting the right lyric I think it deserves to be delivered in kind …..part of a vocalist’s mandate , I believe , is to deliver the lyric in a meaningful way that a listener understands and feels and / or relates to immediately ….not after searching the internet for what the vocalist is saying . Yes, I understand your point about singing so the lyrics can be understood, and agree. I never heard of her. Checked out a few songs on my way home from work today. Great voice, beautiful & unique! Thanks for the article on her. Saving Country Music totally ignored 2017’s Spades & Roses. Excellent album. Every word can be heard clearly. I listened to the live you tube video and gave up 30 seconds in….lyrics were almost completely inaudible ……maybe the album is better . Now all she has to do is flaunt the body, immediately start singing pop songs, and talking about equality and making left-leaning comments as if she was anointed to do so (i.e Marren Morris), and she will be propelled to stardom. Here’s hoping the best for her doing it the right way. Didn’t know her. Am starting with her EP “You Know the Feeling.” First few notes, even before the vocals kick in: This is Virginia country music, the real thing. It goes way back. What a blessing. Take 3: the first LP “Somehow.” Too pure and too real for radio, this is what St. Peter’s gonna play as welcoming music at the pearly gates. Get your house in order. Thanks for this article. I hadn’t heard of Caroline before, but I just checked out Spades & Roses and I’m hooked. Just gave Spades & Roses a run through and it has some really good songs. Great voice too! She’s opening for Ron Pope here in March and of course it’s sold out. here’s a better example , perhaps , of what I mean by not doing service to a lyric . this is just a dreadful ‘performance’ of a song . Checked out “Mint Condition”, and I was impressed. The lyrics are some of the best I’ve heard in a country song from this decade, and her voice is just too pretty not to demand attention. Between this, George Strait’s upcoming album, and Trisha Yearwood’s Sinatra tribute, 2019 looks to be a good year for me in terms of new music.